Stryker Corporation operates as a medical technology company. The company operates through three segments: Orthopaedics, MedSurg, and Neurotechnology and Spine. The Orthopaedics segment provides implants for use in hip and knee joint replacements, and trauma and extremities surgeries. The MedSurg segment offers surgical equipment and surgical navigation systems, endoscopic and communications systems, patient handling, emergency medical equipment and intensive care disposable products, reprocessed and remanufactured medical devices, and other medical devices for use in various medical specialties. The Neurotechnology and Spine segment provides neurotechnology products that include products used for minimally invasive endovascular techniques; products for brain and open skull based surgical procedures; orthobiologic and biosurgery products, such as synthetic bone grafts and vertebral augmentation products; and minimally invasive products for the treatment of acute ischemic and hemorrhagic stroke. It also provides spinal implant products comprising cervical, thoracolumbar, and interbody systems for use in spinal injury, deformity, and degenerative therapies. 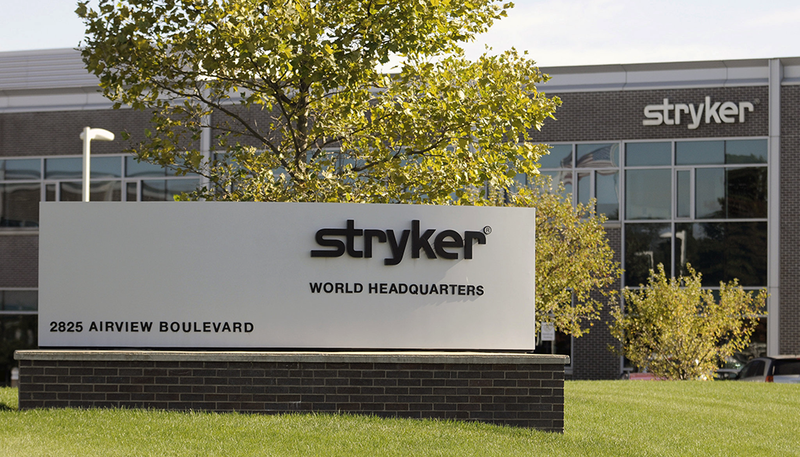 Stryker Corporation was founded in 1941 and is headquartered in Kalamazoo, Michigan. Product information. For information about our products or to place an order, please contact our divisions by using the contact list below or the customer support centers tab. If you are uncertain which division to contact, please call the corporate office at +1 269 385 2600. Stryker Corporation. Stryker Corporation (NYSE: SYK) is a Fortune 500 medical technologies firm based in Kalamazoo, Michigan. AbbVie is an American publicly traded biopharmaceutical company founded in 2013. It originated as a spin-off of Abbott Laboratories. AbbVie Inc. discovers, develops, manufactures, and sells pharmaceutical products worldwide. The company offers HUMIRA, a therapy administered as an injection for autoimmune diseases; IMBRUVICA, an oral therapy for treating chronic lymphocytic leukemia; and VIEKIRA PAK, an interferon-free therapy to treat adults with genotype 1 chronic hepatitis C.
It also provides Kaletra, an anti- human immunodeficiency virus (HIV)-1 medicine used with other anti-HIV-1 medications to maintain viral suppression in HIV-1 patients; Norvir, a protease inhibitor indicated in combination with other antiretroviral agents to treat HIV-1; and Synagis to prevent RSV infection at-risk infants. AbbVie Inc. researches and develops pharmaceutical products. Company Overview of AbbVie Inc.
Pharmaceutical Contract Manufacturing Locations in United States (USA), Ireland, Germany, Italy, Puerto Rico – AbbVie Contract Manufacturing. Here’s a useful articles all about AT&T Inc headquarters. Where is the AT&T headquarters? Company Overview of AT&T Inc.
How do I contact AT&T headquarters? How do you contact AT&T customer service? How can I check my AT&T Internet speed? T&T is a US-based telecoms company, and the second largest provider of mobile services and the largest provider of fixed telephone services in the US. AT&T operates as a carrier of both fixed and mobile networks in the US but also offers telecoms services elsewhere. It is the largest telecoms operator in the world by revenue. AT&T also provides pay-TV services through DirecTV. AT&T also uses its network to offer peripheral services, including disaster recovery. AT&T can chart its origins back to Alexander Graham Bell, inventor of the telephone. The inventor’s company, Bell Telephone Company, was the parent company of subsidiary American Telephone and Telegraph Company (AT&T), established in 1885. Headquarters Whitacre Tower, Dallas Texas U.S.
AT&T Inc. is an American multinational conglomerate holding company headquartered at Whitacre Tower in Downtown Dallas, Texas. To cancel your home service, call 1-800-288-2020. To cancel wireless service or remove a line, you can visit an AT&T store, call 611 from an AT&T wireless phone, or call 1-800-331-0500. It’s hard to imagine a logo that has as much recognition as the AT&T globe. 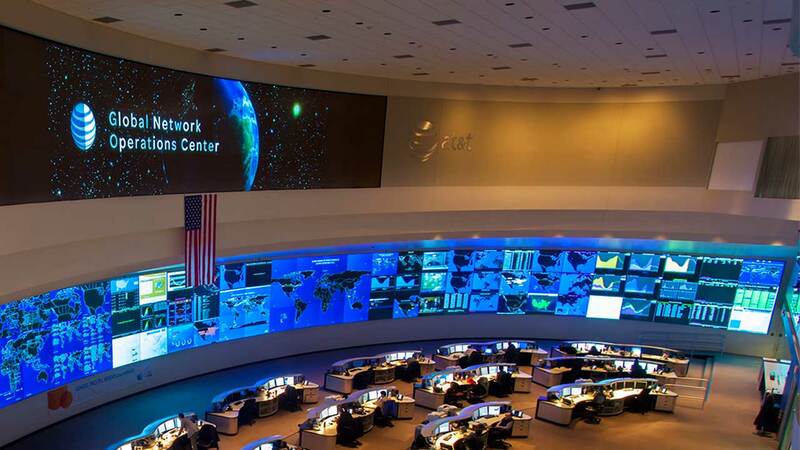 People from around the world can recognize it and the company it represents, which is a huge achievement for AT&T. The symbolism of the famous globe is simple and easy to understand and transcends any language or cultural barriers. The AT&T company has its roots in the very beginning of the telephone industry and their brand has adapted to meet the needs of this ever-growing company. The overall activity of the telecommunications sector is always active. We have different means of communication for different purposes such as bill payment, promotion services, top-up, fiber, and more. One company out there is the Ooredoo. Ooredoo, formerly known as Qtel, is an international telecommunications company. It is based in Doha, Qatar. Ooredoo is dedicated to provide mobile, wireless, wireline, and content services with market share in domestic and international telecommunication markets, and in business (corporations and individuals) and residential markets. Ooredoo is considered as one of the world’s largest mobile telecommunications companies, with over 114 million customers worldwide as of September 2015. Qtel, which was the basis of the current Ooredoo, was founded in Doha in 1987 as a telephone exchange company. It has grown from that inception to become the largest communications operator in Qatar offering new technologies to the country including mobile, broadband, digital, and fiber services. Ooredoo has the ownership from the royal family with H.E. Sheikh Abdullah Bin Mohammed Bin Saud Al Thani as their chairman is and Sheikh Saud Bin Nasser Al Thani as its CEO. Q-Tel’s Chief Operating Officer is Waleed Al-Sayed. 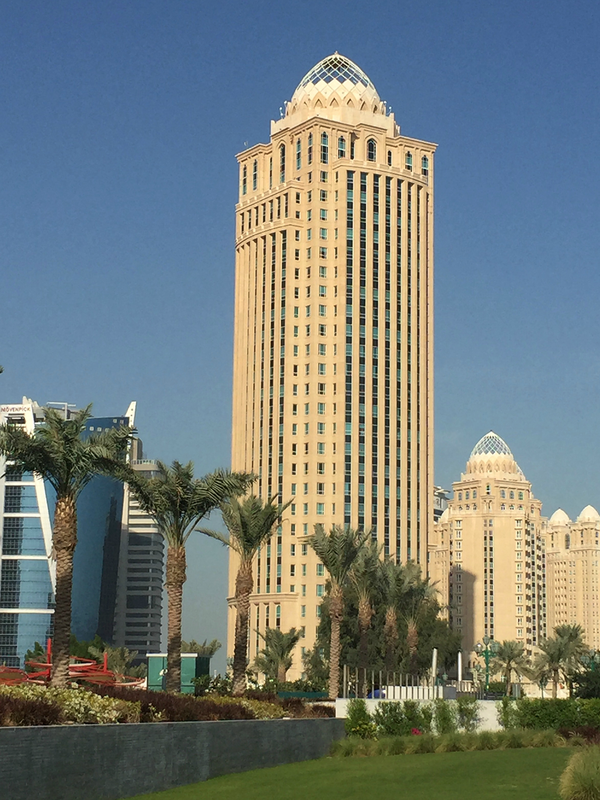 The company has successfully experienced significant growth over the last six years which resulted into a transition from a single country operation to international company operation with a global customer base of more than 114 million customers worldwide (as of September 2015) and consolidated revenues of QAR 24.2 billion for the first nine months of fiscal year 2015. In 2010 the company upgraded its 3G network in the country and launched its Mobile Money service. By 2012, its network grew with its fiber network that provided services with download speeds of up to 100 Mbit/s, HDTV, and its initial phase of its 4G LTE mobile broadband service. The company’s consumer base has grown significantly in recent times, from 1.9 million subscribers in 2008 to 2.5 million in 2012 within Qatar. Its annual revenues increased by QAR 3.5 billion from 2012 to 2013 in a single quarter. Citing strong organic growth, prudent investments and the growth and loyalty of its customers, Ooredoo has been the fastest-growing telecommunications company in the world by revenue since 2006 and its enterprise value has more than tripled since 2005. 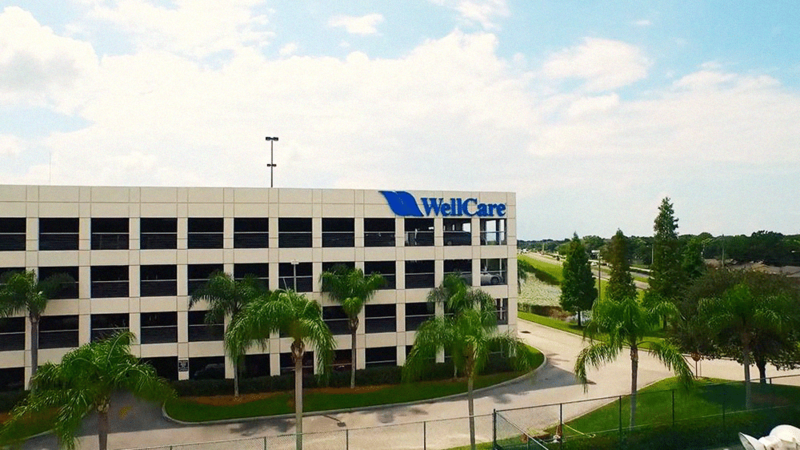 WellCare Health Plans, Inc. provides government-sponsored managed care services. The company operates in three segments: Medicaid Health Plans, Medicare Health Plans, and Medicare Prescription Drug Plans (PDPs). The Medicaid Health Plans segment offers plans for beneficiaries of temporary assistance for needy families, supplemental security income, and aged blind and disabled residents; and other state-based programs, such as children’s health insurance programs and long-term services and supports programs for qualifying families who are not eligible for Medicaid. The Medicare Health Plans segment provides Medicare, a federal program that provides eligible persons aged 65 and over, as well as some disabled persons with a range of hospital, medical, and prescription drug benefits; Medicare Advantage, a Medicare’s managed care alternative to the original Medicare program, which offers individuals standard Medicare benefits directly through Centers for Medicare & Medicaid Services; and coordinated care plans that are administered through health maintenance organizations and require members to seek health care services and select a primary care physician from a network of health care providers. Location: 8735 Henderson Rd, Tampa, Florida 33634, United States. Monday-Sunday, 8 a.m. to 8 p.m. Call Customer Service to answer any questions you have at 1-800-288-5441 (TTY 1-877-247-6272). (NYSE: DATA) Tableau Software, Inc.
Tableau Software is a public company, mainly based on Seattle, Washington in the United States of America. The company specializes in the software industry and was founded by Christian Chabot, Chris Stolte, and Pat Hanrahan. The company’s CEO is Adam Selipsky who was assigned in the position in September 16 of 2016 which resided by the former CEO and current Chairman of the Board, Christian Chabot. Chris Stolte is the current technical advisor while Pat Hanrahan is the Chief Specialist. The CDO is Andrew Beers. The sector of software companies worldwide is steadily increasing in terms of overall demand and popularity. In particular, the United States is considered as one of the software company hotspots that are actually playing a definitive contribution in software development as well as other services being offered such as technical support. Namely, one of these is the established software company—Tableau Software. The company traces back in its first roots in initializing research commercialization that had been successfully done in the Department of Computer Science of Stanford University between years 1999 and 2002. Then afterwards it was firstly founded in Mountain View, California by the current Technical Advisor, Chris Stotle in January 2003. His expertise honed in the former Tableau office in database development particularly data visualization techniques further developed the company from that point on. The humble company had their very first initial public offering (IPO) launched for the general public on the New York Stock Exchange on the date of May 17, 2013. This move significantly raised more than $250 million. In line with this, Tableau Software attracted investors such as Meritech and National Electrification Administration or simply NEA, raising to $45 million more. The company’s revenue and profit can be apprehended as a positively dynamic one. Their revenue in the year of 2013 reached into a staggering $232.44 million. This is eighty-two (82) percent higher than the previous year’s revenue $128 million. Before reaching into this milestone, the year of 2010 provided Tableau a revenue head start of $34.2 million. In the year of 2011, that revenue significantly increased to $62.4 million while climbing into a great $127.7 million in the year of 2012. In terms of profit, the company had $2.7 million, $3.4 million, and $1.6 million, respectively. In the year of 2016, the total revenue of Tableau grew to $250.7 million. These figures made the company a good establishment in the software industry. From the former location in Mountain View, California, the company transferred to Seattle, Washington in October of 2003, where it resides up to this day. In August of 2016, a major change in executive positions occurred. Tableau released a statement that Adam Selipsky was appointed as president and Chief Executive Officer which is effective in September 16, 2016. He replaced the Tableau’s co-founder Christian Chabot as CEO, who is currently playing the major role as the Chairman of the Board of the company. In terms of workforce, the company currently has 3,445 employees as of April 2017. Now, it operates internationally with integrated technical support. Tableau Software offers a wide variety of data analytics functions in their software for everyone to access in the international market. The business analytics software is capable of fast analytics. It can connect and visualize a client’s data in minutes. Tableau claims that their software 10 to 100 times faster than other solutions which is made possible by their data visualization optimization, thanks to their highly experienced business analytics developers. It is also easy to use and very intuitive for users, thanks to the drag and drop system in data analytics. Big Data are highly accessible from spreadsheets to Tableau’s databases and clouds. Also, the software is highly capable of speed sharing. Users can publish dashboards in just few clicks, live in the web or even in their mobile devices. In addition, all functionalities are supported by Tableau employees for further technical support and feedback reporting thru e-mail and other media for further potential improvements. Why should we choose Lincoln Financial Group over another financial institution and does the Lincoln Financial Group offer the customer anything different from the other players in the market place. Let us face it, ten years ago and further back the financial institutions were having a field day with unsuspecting clients, and acting recklessly in their activities. When the crash of 2008 came along, there were heads to roll and the day of reckoning had come for many of these unscrupulous financial investment companies and their CEO’S. Leap forward ten years and now there are multiple financial regulatory bodies to keep us, the customer safe from frowned upon practices. So what is the Lincoln Financial Group? Lincoln Financial Group is a group of companies and subsidiaries such as Transamerica all operating under the umbrella of AEGON. There are some 30 subsidiaries within the group all offering overlapping products that compliment its sister companies offerings of products. By taking, this approach in the financial services market Lincoln Financial Group can leverage a greater market share along with the other subsidiaries by offering complete financial solutions to the financial services market. Lincoln Financial Group is the marketing name for Lincoln National Corporation (NYSE:LNC) and its affiliates. Who owns the Lincoln Finance Group? Lincoln Finance Group is owned by the parent company Lincoln National Group. This is a national corporation and listed as a fortune 250 companies. Lincoln National Group operates its financial services such as annuities and insurance through Lincoln Finance Group. What products does the Lincoln Financial Group offer? These are just a few of the services offered by Lincoln Finance Group. Who are the group executives of the Lincoln Financial Group? As you can see the executive, team is a of a diverse group of executives each bringing industry knowledge making the Lincoln Finance Group experts in the industry and providing its clients with the correct solution to their financial needs. Where can I find the Lincoln Finance Groups Headquarters? Lincoln Finance group has it’s headquarter located in 150 N Radnor Chester RD Radnor 19087-5252 United States USA. What year was Lincoln Group created? Lincoln was created in 1905 in Fort Wayne Indiana. The company name is taken from the family name of Abraham Lincoln, which was thought to represent trust and integrity. The name was actually authorized for use by Abraham Lincoln and a letter delivered by his son Todd Lincoln and confirmed the company could use the facial image of the president as there logo. Lincoln Finance Group holds a patent for insurance! Yes, you read that correct they hold a patent for insurance. The patent covers variable annuities and is still in use today to calculate variable annuity end of term payments. Is there a Lincoln Finance group representative or office near me? Lincoln Finance Group operates throughout the country with multiple offices and hundreds of financial advisors across the US. Where can I find a Lincoln financial advisor? In the first instance, you can check the official website www.lfg.com where you will find many options for locating a financial advisor. This is the best option for most clients because you can choose which product you wish to purchase and discuss further and be directed to financial professional who can assist you with your inquiry. How can I withdraw money from Lincoln Financial Group? This should be straightforward and easy to get it started but in some cases, it is more complex than one would think. This is because when you initiate a life policy or annuity there is invariably a term to the policy. Having a term to the policy is easy to understand. When your policy comes into force, it is normal that there will be a fixed maturity period of say 15 years. If you decide to withdraw from the policy before the 15-year maturity when your policy has not reached its full earnings potential and the company will lose money. This is why there are always penalties for withdrawing money early from a non-matured policy. However, if your policy is well on its way to maturity it is possible to take a policy loan. This can be done in two stages, USD 50,000 and 50,000 and above. For the first option, you will need to contact customer service and discuss your requirements where the customer service representatives will help you further to release money from your policy. For the second option of 50,000 + you will need to fax or mail the customer service department stating your request with your complete details like SSN, Tax ID, policy number and date of inception. Never ever, give usernames and passwords when using fax transmissions or when sending requests through post. Taking a low interest loan from your annuity or insurance policy may seem like a great idea knowing you can repay the loan through salary deductions over a period. It can be a great idea however; there are pitfalls you should understand. Removing funds from an active policy will inevitably cost you in the end. You will be paying administration fees from the very moment you start the process. You can potentially miss bonus payments that could be significant depending on the value of your policy. I would always advise trying to find another option for funding before touching your policy. Lincoln Finance Group can offer you sound investment plans which is backed by multi-billion dollar assets for you peace of mind and security. Lincoln Finance is a good choice for planning your finances into the future. As with most financial services companies Lincoln Finance Group offer great careers and are always looking to extend their talent pool. Contact Human Resource for further information through the official website should you be interested in a new career. In this article, I will discuss the Transamerica Corporation and offer the readers a brief insight into the Transamerica Corporation and some of its many subsidiaries. I will let you know what the Transamerica Corporation offers its clients and if this is the company for you and your future investments. In terms of longevity and security, you can have confidence that the Transamerica Corporation is a well-established player in the financial industry and have been around a long time. Transamerica Corporation came into existence in 1904 and its original founder was Amadeo Giannini. Amadeo Giannini had the vision to create financial services accessible to everyone. Today the President and CEO Mark W. Mullin who has been at the helm for the past eight years and nine months, he is a stalwart of the financial industry. Transamerica Corporation have two thousand five hundred employees across the globe and has some thirty subsidiaries including household names such as World Financial Group and Lincoln Financial, to mention a few. As one would expect from an established financial service provider such as Transamerica Corporation the company offers a portfolio of products to suit the inclusive financial needs for all working persons in today’s society. Along with these products, there are a number of services one would expect like a taxation center, financial education knowledge place and more. Millennial’s in the United States are particularly interested in investing for the future and retirement. The Transamerica Corporation and its subsidiaries offer the perfect platform for your 401K should your employer not offer this service to you. Transamerica Corporation offers legitimate financial services including quotes for life insurance and even loan processing should you be considering a loan as a financial option into today’s burgeoning stock market. Some of the best life insurance is through Transamerica and its subsidiaries, Transamerica and its subsidiaries are in office locations near to you. Transamerica Corporation has made contacting the company simple; you can create an account and login at your convenience at any time. To create an account is as simple as clicking support on the web page header. Select the product or products you are interested in and register your account. As with all websites, you will have a unique user name and password. If you have forgotten your password, do not worry. Just follow the simple steps provided on the login page and you will receive a password reset. Before you get to the password reset, you will need to submit your SSN or Tax ID to verify your identity. Once done it is plain sailing. How long has Transamerica been in Business? 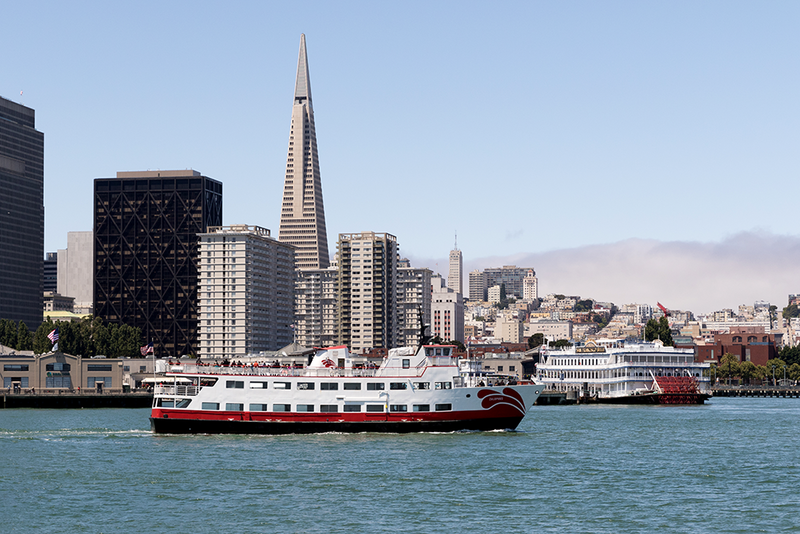 Transamerica has been in business for 114 years. When was the Transamerica founded? Transamerica was founded back in 1904 in San Francisco. Interestingly, the iconic Transamerica logo is from their pyramid building that dominated the skyline of San Francisco for many years. However, it is no longer the corporate headquarters. Yes, you can cancel your life insurance policy. However, as with industry standards life insurance policies normally have a fixed term. The Transamerica life insurance policy has a term of fifteen years that means if you are under the fifteen year fixed term you will be penalized for surrendering the policy. Before you take this route, ask yourself why you want to surrender the policy and is there a better option for you. Many leading insurance companies recognize that over time some products no longer suit the needs of the customer and will offer a different policy if you are prepared to transfer. Another option is to speak with your financial advisor about the possibility of selling your policy. There are companies in the market who will buy certain financial products and wait for the product to mature. Invariably, there will be a fee for transferring your policy. This will be your best option. If you are certain your current policy no longer meets your needs. If you want to withdraw completely Transamerica Corporation will oblige without hassle. Can I pay my monthly premium online? You have the option to pay your premiums through direct debit from your bank account. However, the simplest way is to use Western Union speed pay, which can be completed online from any location. Contacting Transamerica Corporation could not be simpler, you can contact via the official website or the telephone numbers posted online. Here is some useful information should you need to contact Transamerica Corporation. Please be aware when contacting Transamerica via email do not give website user name or passwords for your security. I could only find positive reviews with regard to Transamerica except for a lawsuit for a patent infringement. If you are looking to the future and have decided that now is the time to invest in your 401K, or an annuity or other policy that meets your needs, then Transamerica Corporation will be able to offer you competitive products within the market place. With a broad range of subsidiaries you will find Transamerica Corporation have all of your needs covered. Financial advisors and products are tightly regulated which should give you the confidence to proceed with your investments without fear or trepidation. There is no better time than now to take the opportunity to invest in your future with Transamerica Corporation. Transamerica are always hiring talented people from diverse backgrounds, should you be interested in applying for a position contact Human Resources through the website. Please do not confuse Transamerica with Trans American auto parts. Pharmaceutical and healthcare companies are highly dedicated in giving the utmost service and product pipelines to its ventures. These companies are merged together in order to deliver the demands. Mentioning one of the key players in the pharmaceutical and medical industry is the C.R. Bard, Inc.
C. R. Bard, Inc., (Bard C.R. Inc) recently shortened to Bard, headquartered in their main office in Murray Hill, New Jersey, USA and medical locations around the world, is one of the leaders in developing, manufacturing, and marketing of medical technologies in the following medical fields or specialties: vascular, urology, oncology, and surgical specialties. It creates their dedicated access system, peripheral vascular products, medical supplies and devices in pharmaceuticals. In April 2017, an announcement was done by Bard that it will be acquired by Becton Dickinson. Key People/Executives for C. R. Bard, Inc.
C. R. Bard, Inc. was founded in NYC by a man named Charles R. Bard in 1907. The first venture involved importing the medicine Gomenol, which was used to treat urinary discomfort. Formal incorporation was done in 1923, and three years later, in 1926, Charles let the company be sold to John F. Willits and Edson L. Outwin for $18,000. Under Willits and Outwins, expansion was done into the catheter business, introducing the Foley catheter in 1934 and the America Woven Catheter in 1940. 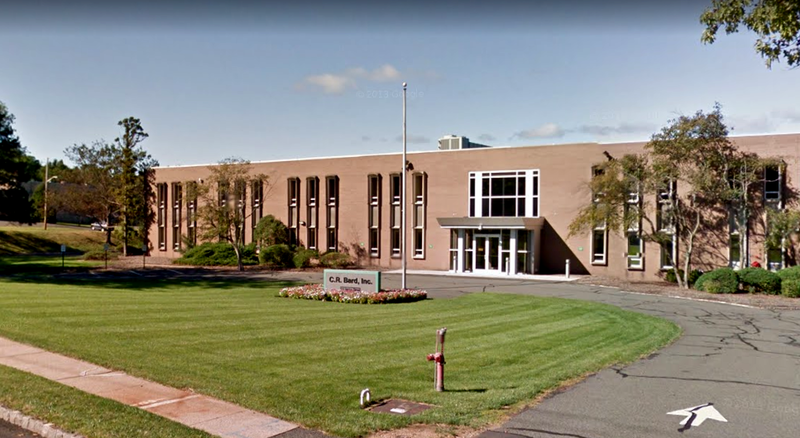 In 1948, Bard’s yearly sales totalled $1 million for the first time ever, and the company moved its headquarters from New York City to Summit, New Jersey. In 1954, Dr. DeBakey, a scientist from the company, developed the first arterial prosthesis. Three years later the selling Foley catheters that came in sterile packaging was done by Bard for the first time. Furthermore it continued its actions to innovate in the world of catheters, rolling out the Bipolar Temporary Pacing catheter in 1958 and the first latex balloon catheter in 1960. In 1961, expansions were done and began manufacturing products related to cardiology, radiology, and anesthesiology. IPO was done by Bard in 1963 and was listed on the New York Stock Exchange in the year of 1968. Introduction of variety of new health care products was commenced by the company since that time. Its net sales reached to an amount of over $1 billion. Around the year of 2012, Bard made an acquisition to the company Lutonix. On April 23, 2017, announcement was done that Becton Dickinson would acquire them for $24 billion. Catheter stabilization devices; and products for therapeutic hypothermia. Hemostats and surgical sealants, as well as irrigation, wound drainage, and original equipment manufacturers products. Devices in the medical world are made in quality to its customers and potential ventures. Such companies dedicated to make these are integrated in order to deliver the demands. Mentioning one of the key players in this industry is the Boston Scientific Corporation. Boston Scientific Corporation (known as Boston Scientific) is a corporate international leader in the development, manufacturing and marketing of medical devices which showcases products in the range of interventional medical specialties, including the following medical disciplines: interventional radiology, interventional cardiology, peripheral interventions, neuromodulation, neurovascular intervention, electrophysiology, cardiac surgery, vascular surgery, endoscopy, oncology, urology and gynecology. They are also known in developing diabetes products. Forming of the BSC was done on June 29, 1979 as a holding company for a medical products company called Medi-Tech, and to position the company for growth in interventional medicine. IPO was made by the company on May 19, 1992. Approval to The Taxus Stent was made in 2003 in Europe and other countries and approved in the United States by the FDA in March 2004. It was considered as the second drug-eluting stent approved in the USA. On April 21, 2006, the company made an acquisition to their longtime competitor Guidant for $27.2 billion. It was then split between BSC and Abbott Laboratories. Forming of Navilyst Medical was done in February 2008 from Boston Scientific’s Fluid Management and Vascular Access business units. Biliary stents, drainage catheters, and micro-puncture sets to treat, diagnose, and ease benign and malignant tumors.